In celebration of my blog’s Platinum hits today I’ll be sharing a slice of heaven to all of you. 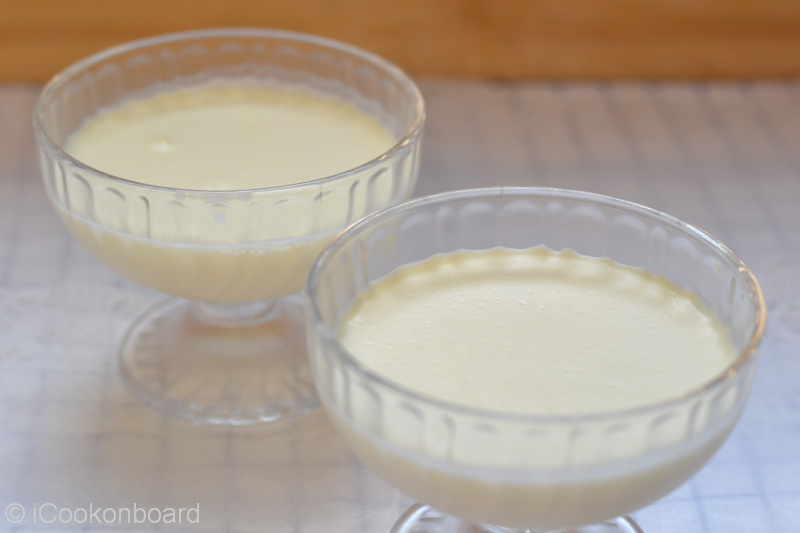 You’ll gonna love this classic Italian dessert. 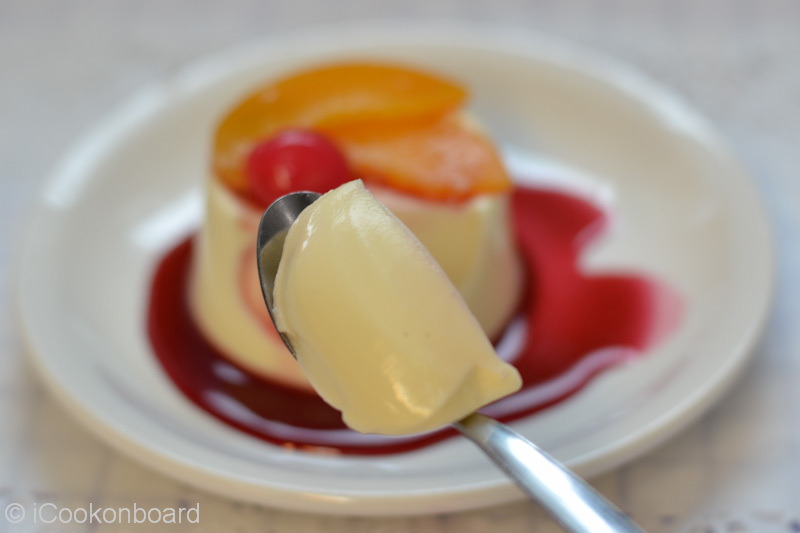 I like the texture of Panna Cotta being soft, thick and smooth that richly melts inside your mouth. 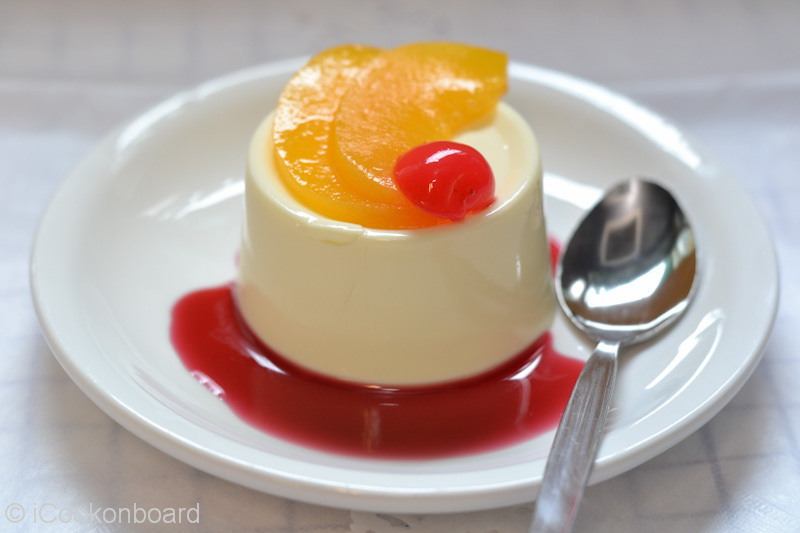 Everyone deserves to have a slice of Panna Cotta after a great victory and indulge into the blessings of our everyday life. 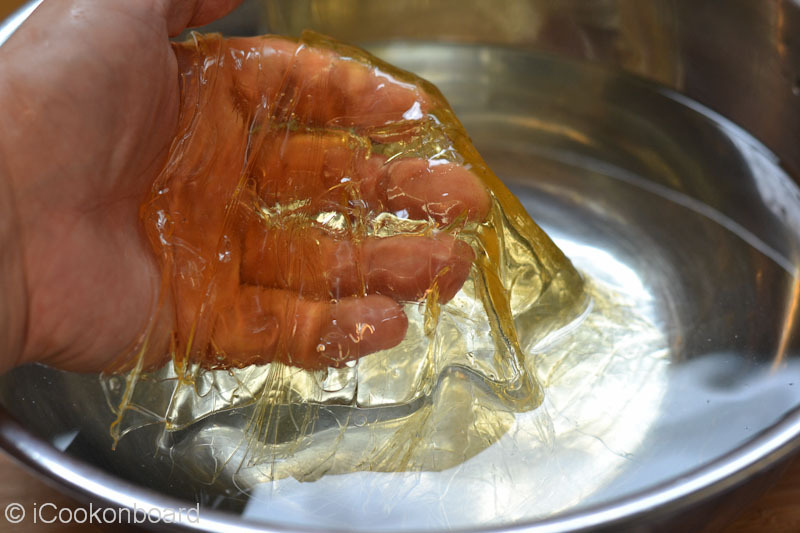 Soak gelatine sheets in cold water and let it bloom for 6-8 minutes. 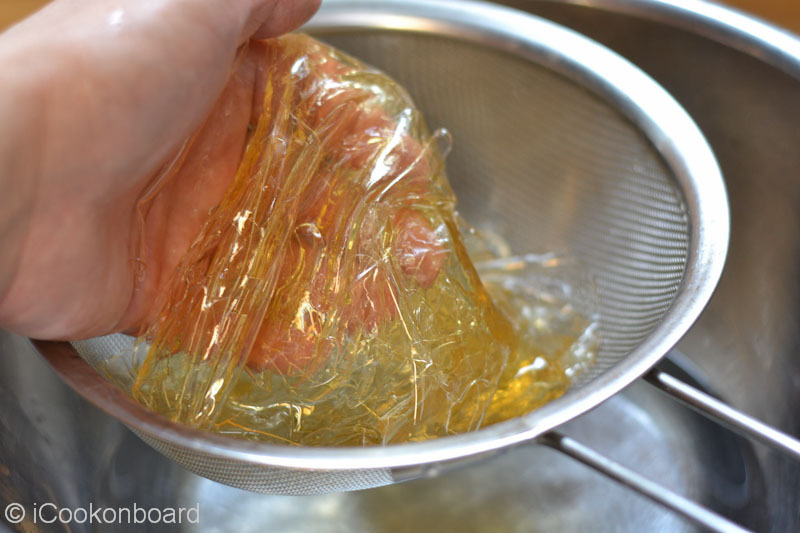 Take out gelatine sheets from water, squeeze with your hands or strain to remove excess water. 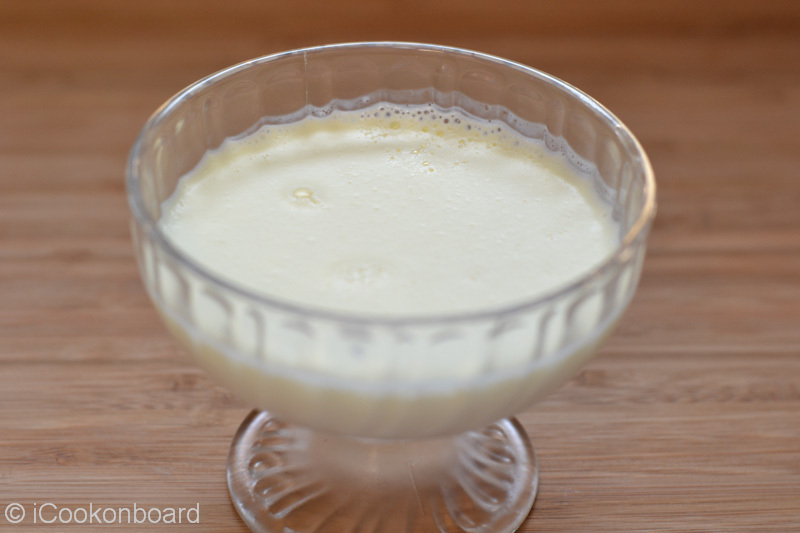 Pour in heavy cream, sugar and vanilla essence in a cooking pot. 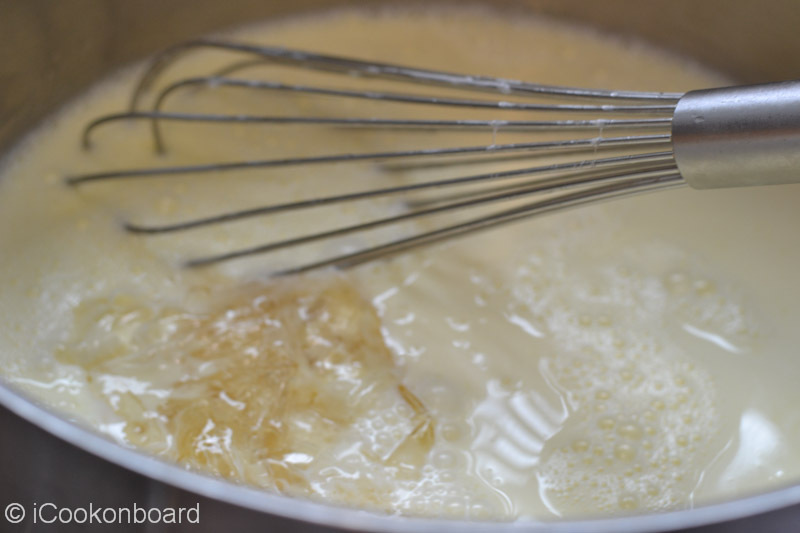 Place over high heat, stir until sugar is dissolved. 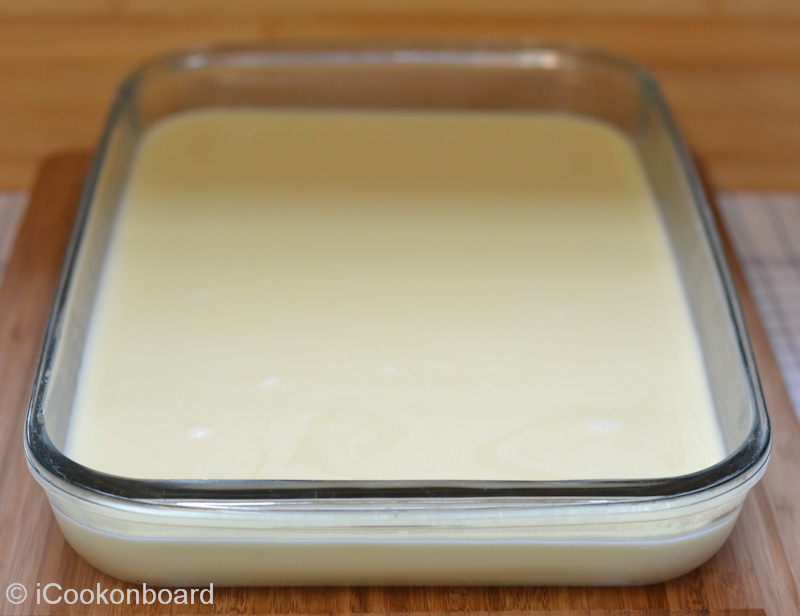 Heat until the cream mixture is hot but do not boil, remove from heat. 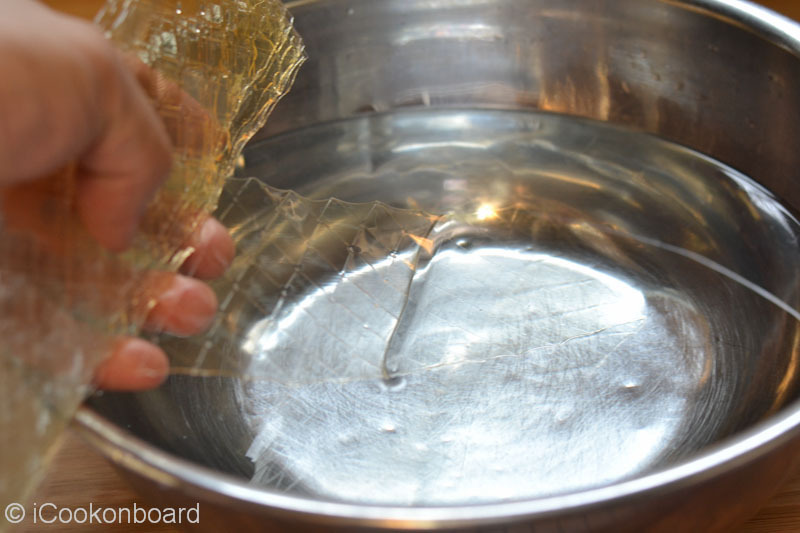 Add the soak and drained gelatine sheets. 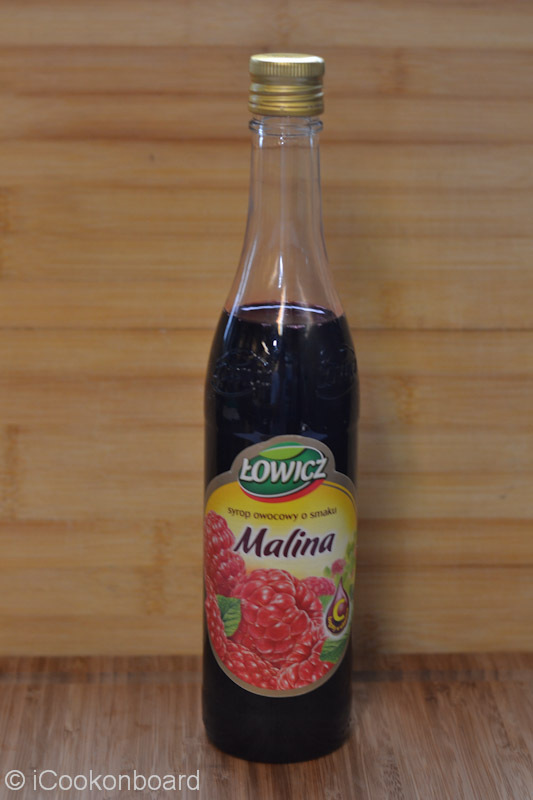 Stir generously until gelatine is dissolved. 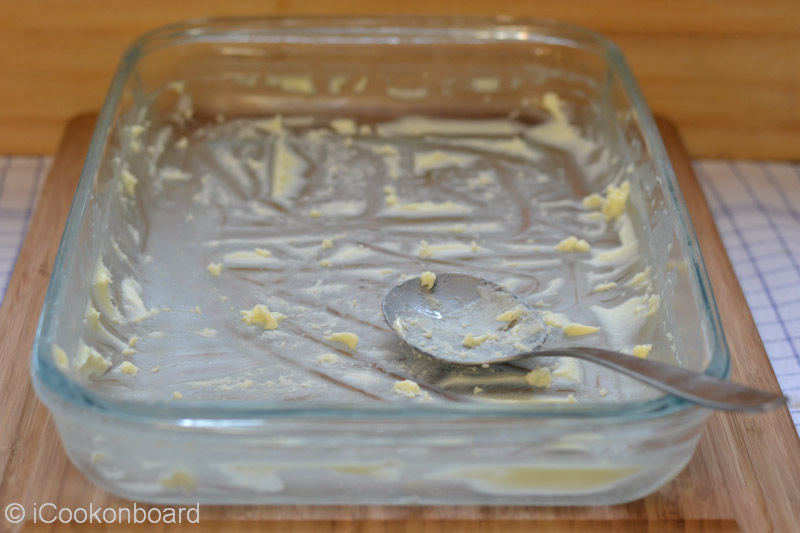 Transfer to desired serving container. 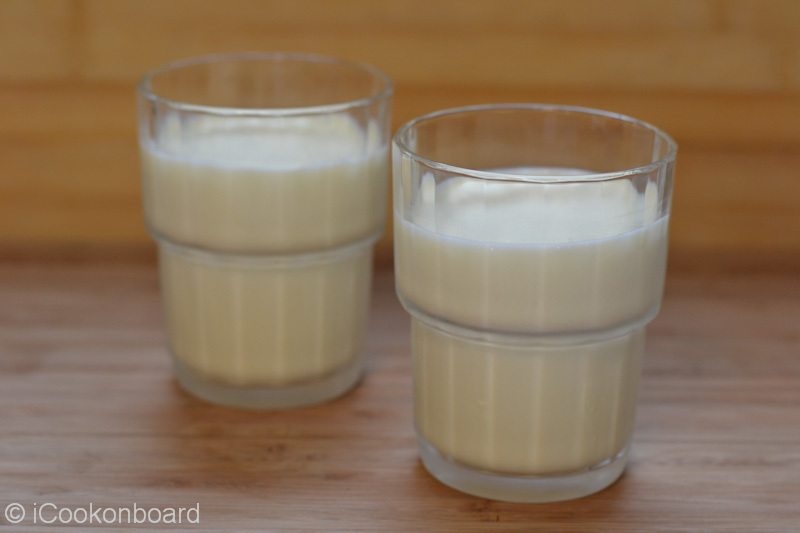 You can use ice cream goblets, glass tumbler, disposable plastic cups or in a large glass serving dish. 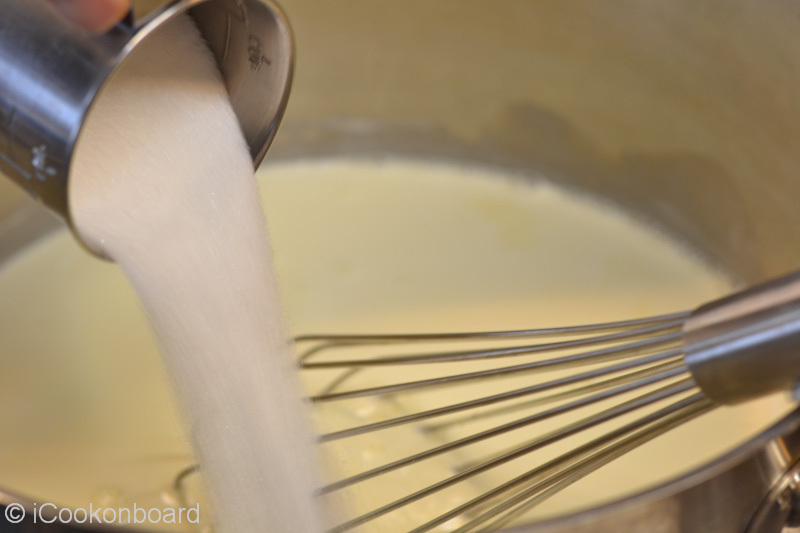 To avoid bubbles on the surface of your Panna Cotta, use a fine sieve/strainer while pouring it in the container. Keep inside the fridge for 2-3 hours or until it set. 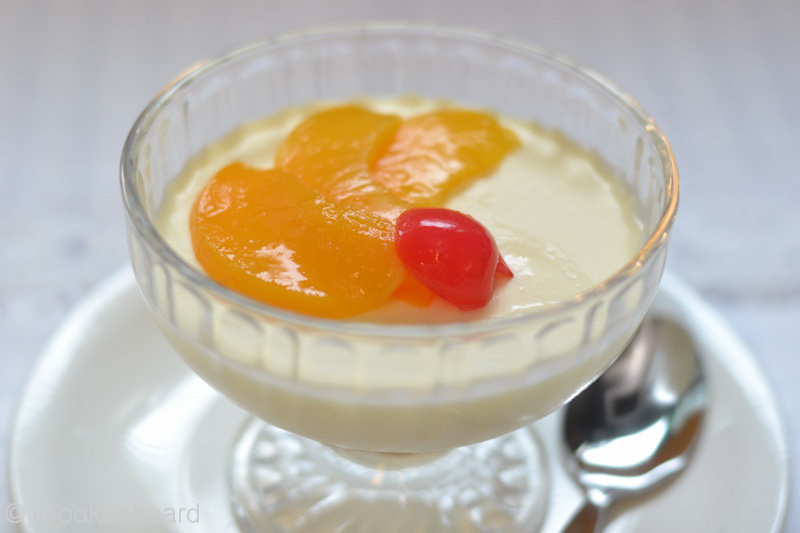 Serve with fruit coulis, fruit syrup/sauce and some slice of peach or ripe mango. 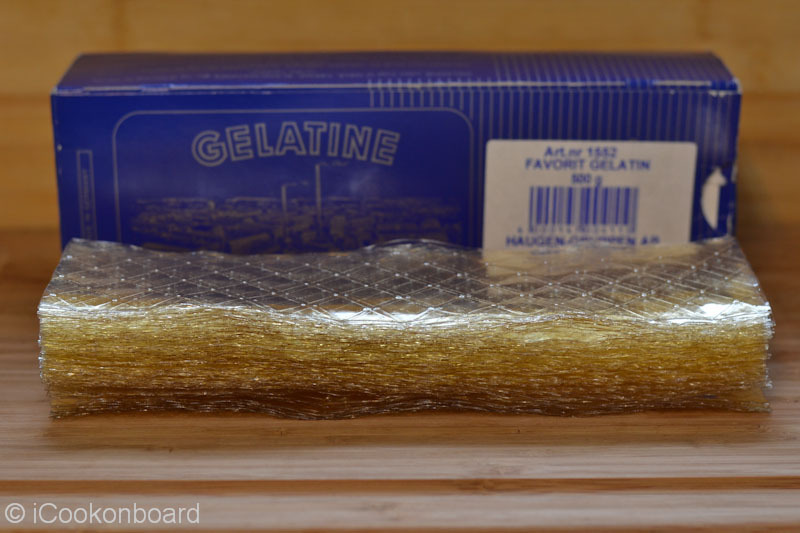 A box of Gelatine sheets. 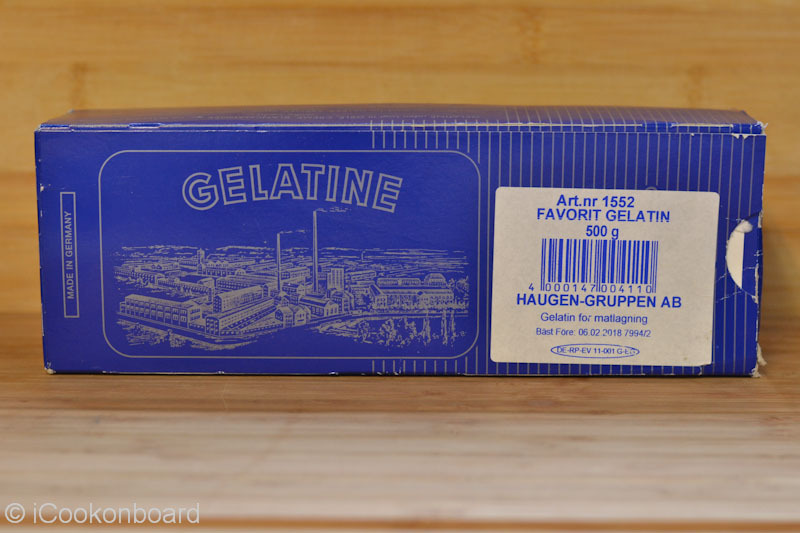 Each box contains 500 grams of gelatine sheets. Note; 10pcs Gelatine Sheets = 35 grams. 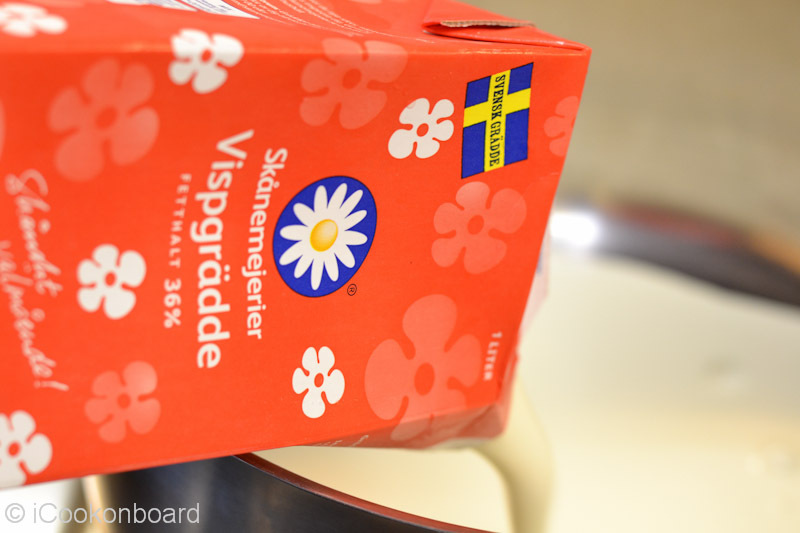 … or strain to remove excess water. 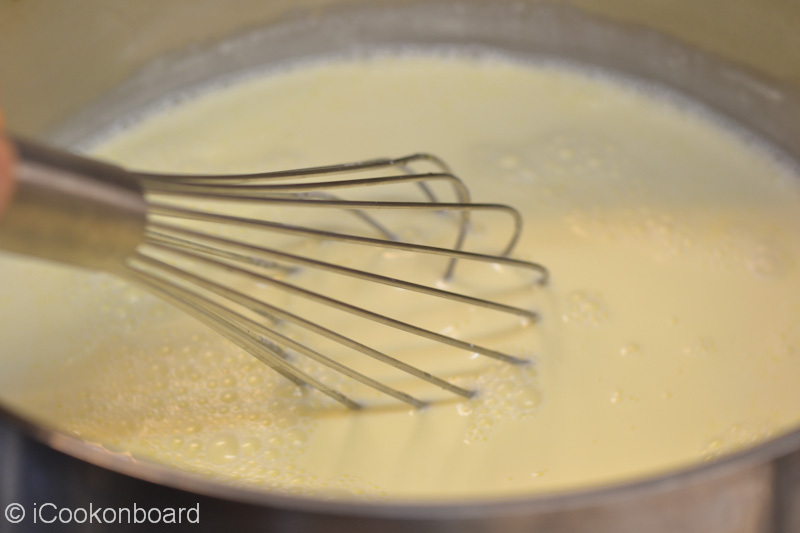 Pour in heavy cream on a cooking pot. And lastly, a teaspoon of vanilla essence. or in a large glass serving dish. At lleast 2 liters capacity. Serve with Fruit Syrup on the side. And heres the what happen after 12 crew have gone in my buffet table. 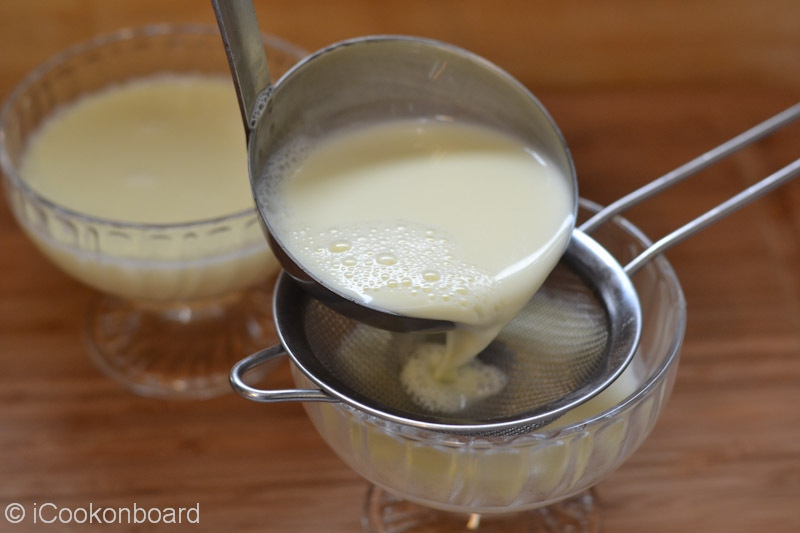 use a fine sieve/strainer while pouring it in the container. 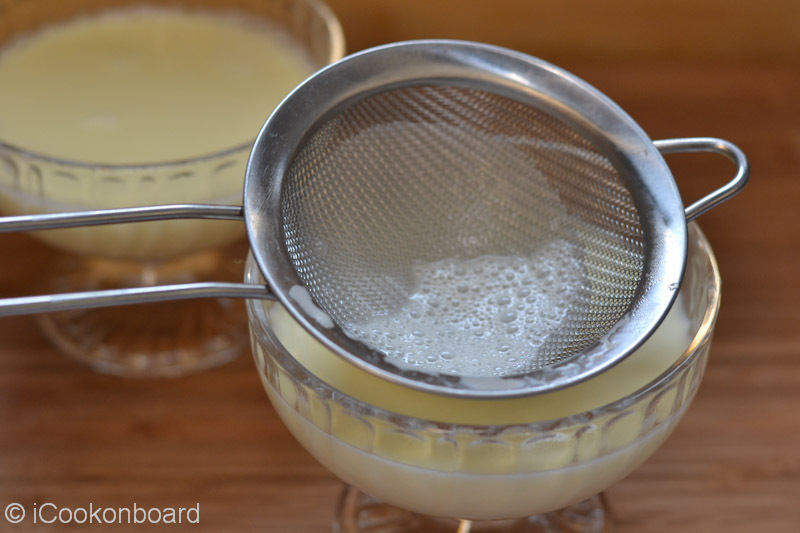 You can use a tea strainer for small cups. These bubbles I like to avoid on top of my Panna Cotta. 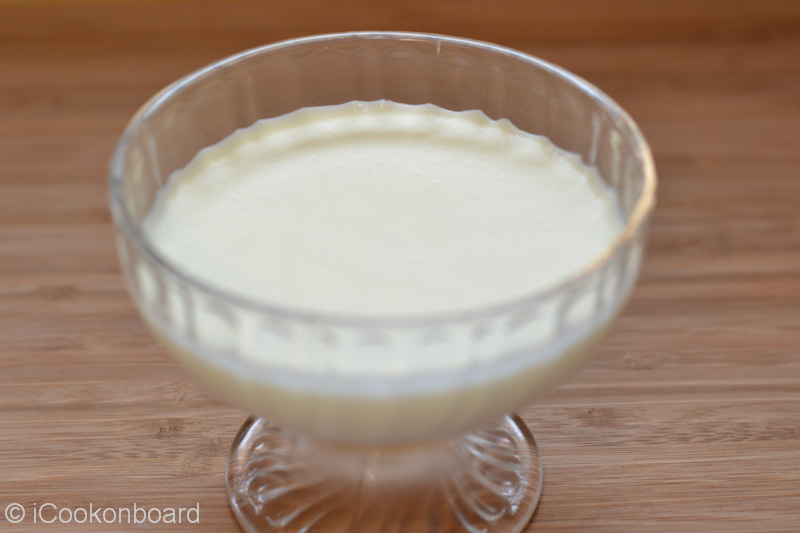 So you get a smooth Panna Cotta. Here’s the one that I don’t use strainer. Bubbles on the surface are very visible and unappealling. Keep inside the fridge for 2-3 hours or until it set. 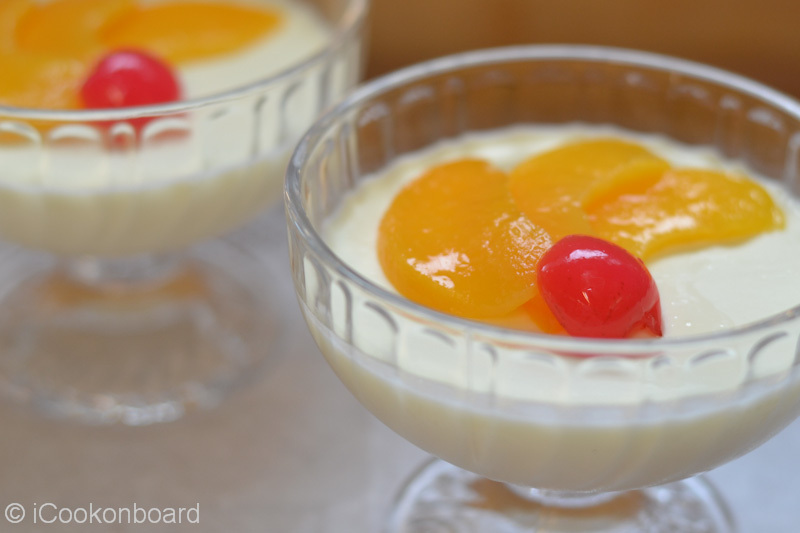 Serve with fruit coulis, fruit syrup/sauce and some slice of peach or ripe mango. -I was fortunate enough to meet Ms.Serena of Foodfulife.com, a very creative Chef/Food Blogger and a exceptionally talented Photographer. 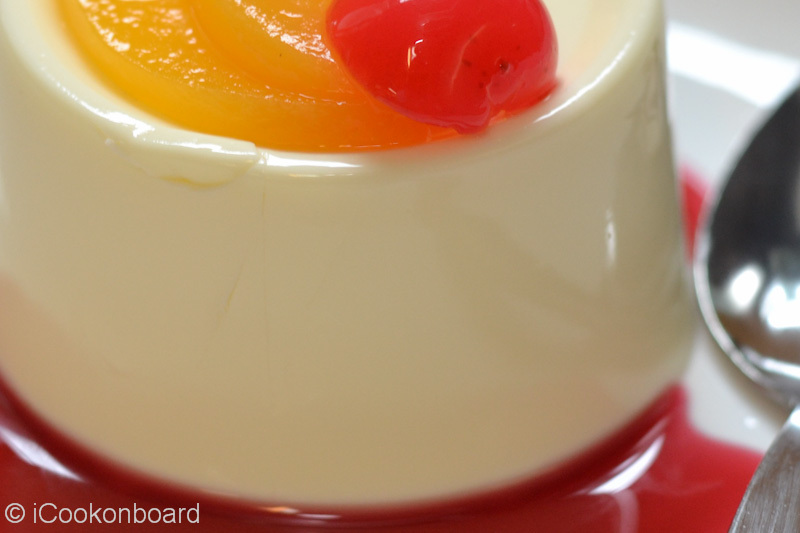 Her Mango Panna Cotta inspired me to try making this dessert. 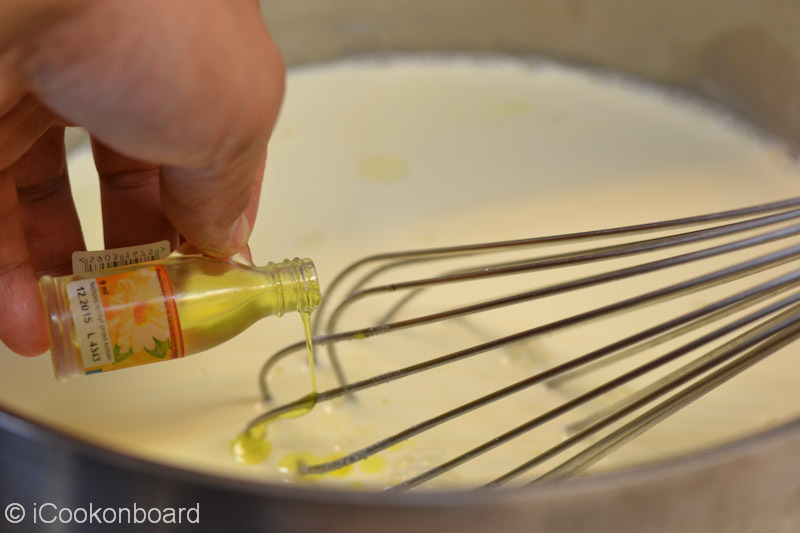 If you love authentic Italian dishes I highly recommend to pay her blog a visit. I learn a lot from her. 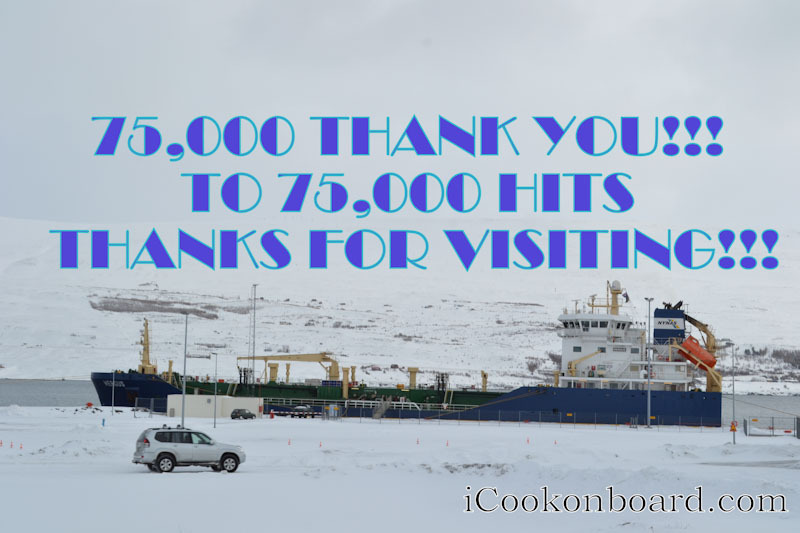 -To my fellow CooksOnboard at IFS culinary training school, MAAP Philippines. 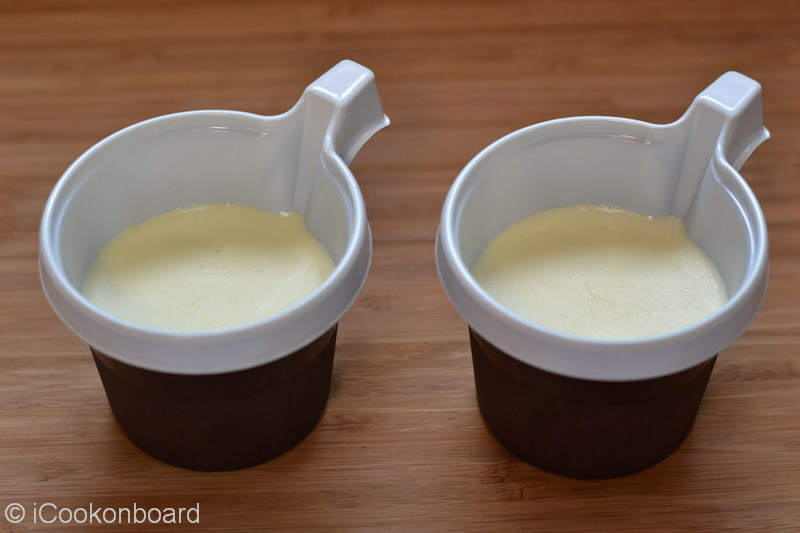 -To my Wife Thets for the idea of straining the Panna Cotta.